Bankruptcy Information | I Am In Jail, Can I Still File Bankruptcy? I Am In Jail, Can I Still File Bankruptcy? 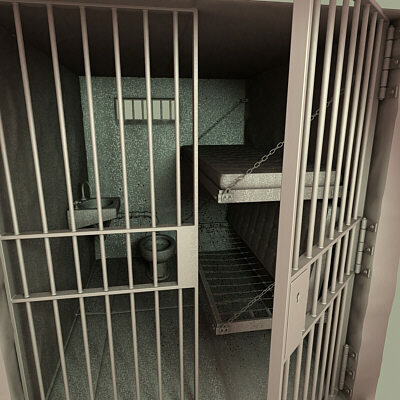 Home > Bankruptcy Basics > I Am In Jail, Can I Still File Bankruptcy? 23 Oct I Am In Jail, Can I Still File Bankruptcy? If you are sitting in jail wondering if you can file bankruptcy then your search is over. The answer is yes if you otherwise qualify for bankruptcy relief under the code. Just because you are sitting behind bars does not prevent you from accessing the Bankruptcy Court. Depending of where you are located will depend on how the process will take place. You will need to meet with an attorney to discuss your potential bankruptcy case. After the case is prepped and reviewed your attorney will file your case. Generally, the debtor must appear in court to be questioned by the trustee or their creditors. This meeting is called a 341 Meeting of Creditors. Once the case is filed a 341 Meeting of Creditors will be set usually within 2-3 weeks. The 341 Meeting of Creditors will then take place one of several ways for someone who is in jail. Some areas will have a telephonic meeting of creditors where the trustee will call the jail and hold the meeting . Some prisoners have been allowed to appear in court for the 341 Meeting and then returned to the jail at the conclusion of the meeting. Another way is for the trustee to issue a questionnaire to the attorney and have the prisoner answer the questions in writing. After the questions have been answered the prisoner will need to sign the questionnaire under penalty of perjury and witnessed by a notary. Remember that knowledge is power and the more knowledge you have the more power you will have to access the Bankruptcy Court even if you are currently in jail or prison. Written by Kansas City Missouri Bankruptcy Attorney, Rachel Lynn Foley.